Whether in women or men, there are various health issues and other factors that can impact fertility including endometriosis, PCOS, hormonal imbalances, even lifestyle choices or environmental factors. At Natural Healing & Acupuncture we help patients in Santa Monica and surrounding areas who are interested the benefits of acupuncture, herbal medicine, nutrition and massage for supporting pregnancy, dealing with menopause, promoting sexual health and overall physical and emotional well-being. Women’s health: From gynecological problems including hormonal imbalance and irregular periods to PCOS, endometriosis, menopause and other women’s health concerns such as pain, anxiety, stress, or digestive issues, our natural fertility specialists work personally with you to develop treatment or therapy tailored to your unique needs. 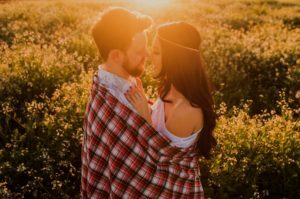 Fertility for men and women: Women often believe it is their fault when they fail to conceive, that for some reason they are infertile. The truth is, both men and women can have fertility issues that make it difficult or impossible to become pregnant. Male factor infertility is far more common than you think. Men often have hormonal imbalances or other issues that impact fertility including varicocele, obesity, radiation exposure, infection, or other factors that can affect sperm quantity or motility. Pregnancy: From becoming pregnant to treating many of the symptoms and problems during pregnancy, acupuncture, massage and herbal medicine enhance fertility and support a healthy pregnancy. Nausea and vomiting, preparing for labor, pregnancy-related back pain, breech presentation; our services promote healing and a healthy, happy pregnancy, alleviating many of the issues that negatively impact women during this amazing time in their lives. Menopause: Some of the symptoms of menopause can be uncomfortable, to say the least. From night sweats, mood swings and loss of libido to insomnia and other negative side effects, we know the power of acupuncture, nutrition, stress reduction and herbal medicine to promote overall well-being while minimizing these issues so you can enjoy and experience life again. Endometriosis: Endometriosis is a condition that impacts many women and often affects fertility. You may experience severe cramps, lower back or pelvic pain, irregular periods or other symptoms; some women have no symptoms at all. Through holistic medicine we often find women enjoy improved fertility, as acupuncture, nutrition and other modalities of natural medicine promote wellness in the entire body. Sexual health: Addressing the health of the reproductive system and treating conditions such as endometriosis, PCOS, low sperm count, hormonal imbalances and other conditions men and women often experience is vital to good sexual health. Stress, depression, insomnia, anxiety, even lifestyle choices can impact libido. We provide treatment and coaching tailored to each patient’s unique circumstances in an effort to promote sexual health. PCOS: PCOS or polycystic ovarian syndrome is not uncommon among women, and is a condition that not only impacts fertility but may contribute to serious complications include type II diabetes and heart disease. Our treatment may include dietary changes, acupuncture, massage, herbal medicine and other services that provide relief from PCOS. From pain, respiratory issues, digestion and depression/anxiety to women’s health issues and fertility problems in women and men, our natural fertility specialists know the importance of treating the body as a whole rather than separate systems and organs. Disease or illness in one system affects other systems. At Natural Healing & Acupuncture our focus is promoting overall well-being and addressing the fertility issues many couples in Santa Monica face in a way that is natural and supports the efforts of conventional medicine. Contact us today at 310-473-7474.